This is a Kirst Mason Speed Ejector Assembly, it is Spring Loaded and is a modern alternative to the Original Factory Ejector Assembly. This ejector is for the 1858 Remington Pietta or Uberti Revolver and Kirst Konverter conversion cylinders. Instructions are included for easy installation. 1. Ammunition must be loaded with lead bullets and a low-pressure powder charge that DOES NOT EXCEED 1000 FEET PER SECOND VELOCITY! 2. NOT FOR USE IN BRASS FRAME REVOLVERS! 3. .44 and .45 caliber cylinders must NEVER BE INSTALLED IN A .36 CALIBER REVOLVER! Follow all instructions that come with your Cylinder Assembly and Firearm. Safe shooting is your responsibility. 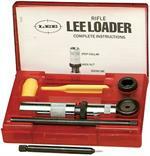 Lee Classic Loader Kit, .38 Spl. These cartridges are perfect for function testing, firearms instructors/students as teaching and training aids, new shooters who are learning to safely load and unload their firearms, malfunction drills, and dry-fire practice. See "More Info" for details. Kirst Konverter Colt 1851 Ejector conversion assembly for Uberti. Instruction are included for installation. 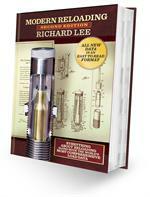 The Second Edition of MODERN RELOADING is a summary of a lifetime of experience. No matter how knowledgeable you are, you will find new and interesting information in this book. It's a reference book you will keep forever. See "More Info"
These .45 ACP Snap Caps are made to protect your firearms by relieving the stress on your firing pins and firing pin springs. Plastic casing, 6 per pack. Snap Caps - .38 Cal. These .38 cal. Snap Caps are made to protect your firearms by relieving the stress on your firing pins and firing pin springs. Plastic casing, 6 per pack. These .45 LC Snap Caps are made to protect your firearms by relieving the stress on your firing pins and firing pin springs. Plastic casing, 6 per pack. All-In-One Pockes Cleaning kit for .36 cal. revolvers. Kit includes bronze bristle brush, nylon bristle brush, cleaning swob, stotted jag, and 2-piece rod with storage handle. .45 ACP or Auto Rim Kit; contains everything you need to begin loading (except a hammer). Includes Sizing Die, Decapping Chamber, Bullet Seater and Priming Chamber, Priming Rod, Powder Measure, load data, plastic case and complete instructions. "More Info"
This Gated Conversion Cylinder assembly will convert your 1858 Remington .36 Pietta to a .38 Long Colt/.38 Special six shooter. Get more enjoyment from your revolver by having more options. Please click on "More Information"
Kirst Konverter Colt 1851 Ejector conversion assembly for Pietta. Instruction are included for installation. Gated Converter Ring Only - for use with the 1858 Remington Kirst Konverter Cylinders in Pietta and Uberti Revolvers. For use with .45 LC and .45 ACP Caliber Cylinders. Read "More Info" and "Caution" Statement Below. ALL IN ONE Cleaning kit for .22cal. revolvers. Kit includes bronze bristle brush, nylon bristle brush, cleaning swob, stotted jag, and 2-piece rod with storage handle. Kirst Konverter Cylinders can be used with any matching caliber conversion cylinder Pietta assembly ring. Please click on "Full Description" to see the Caution statments. Kirst Konverter Cylinders can be used with any Kirst Konverter conversion cylinder assembly ring of the same caliber and revolver model. Please click on the "Full Description" button for Cautions. All IN ONE easy to carry Revolver Pocket Cleaning Kit, .44/.45 Cal. The handiest handgun cleaning tool you will ever own. See "More Info" to see what is included.